An optimized digital video production process and online learning platform delivers groundbreaking video education to the urban planning community. Planetizen is an online community for urban planning professionals. A family of sites serves over 30,000 daily visits by professionals keeping track of industry news, searching for jobs, taking courses, and debating issues through blogs and op-eds written by urban planning professionals. Planetizen wanted to provide affordable and accessible online education to the urban planning community. The platform needed to administer a complex subscription-based payment system, manage a high volume of video content, and facilitate a rigorous publishing schedule. Urban Insight created Planetizen Courses to provide online education opportunities covering a wide range of practical tools for urban planners, urban designers, and civic enthusiasts. 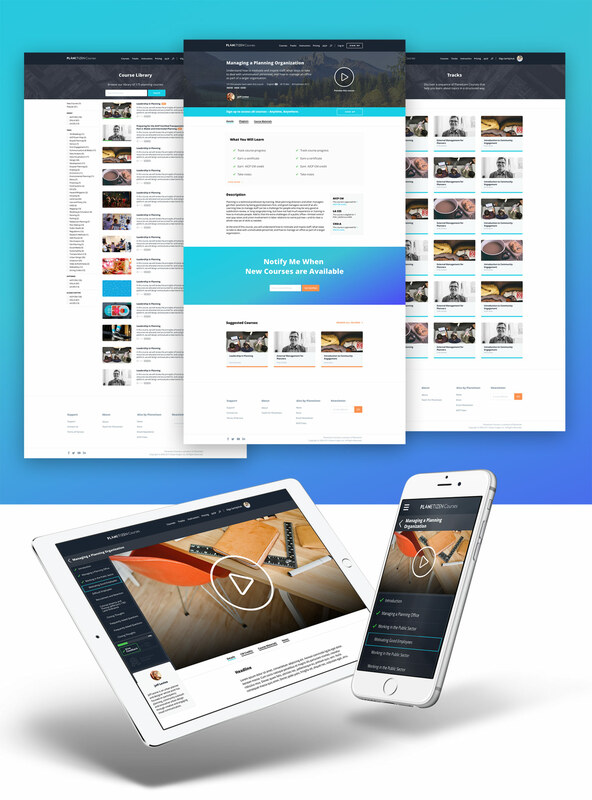 It accomplished this by developing an e-learning platform using the Drupal content management system — one that could handle the challenges of delivering high quality, streaming video to a wide audience and support online payments and subscriptions. Planetizen Courses subscribers can browse a library of courses by topic, track course progress, take course quizzes, and earn and share certificates of completion. Urban Insight works alongside Planetizen staff to plan, record and produce the weekly hour-long video courses in the green screen video recording studio in Urban Insight’s Los Angeles office.